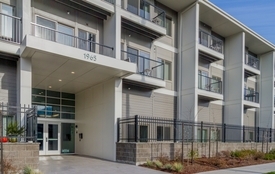 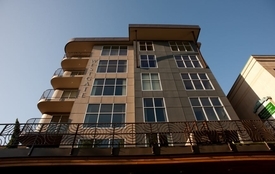 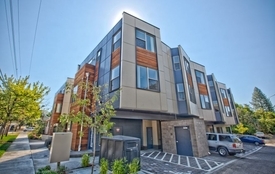 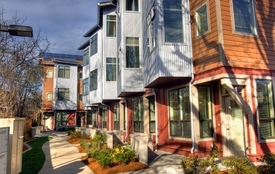 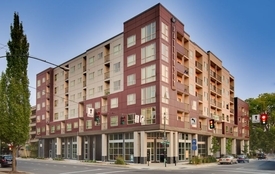 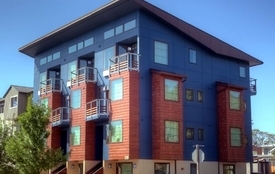 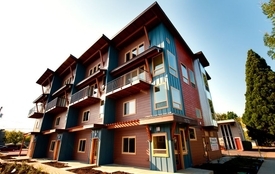 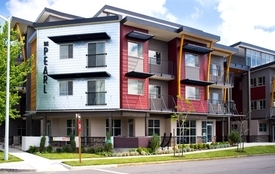 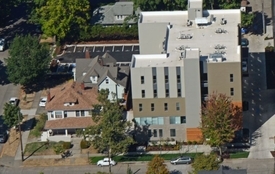 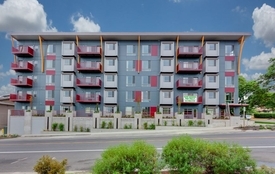 This LEED Platinum, four-story, 139-unit apartment complex includes all one-bedroom apartments. 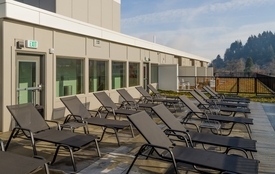 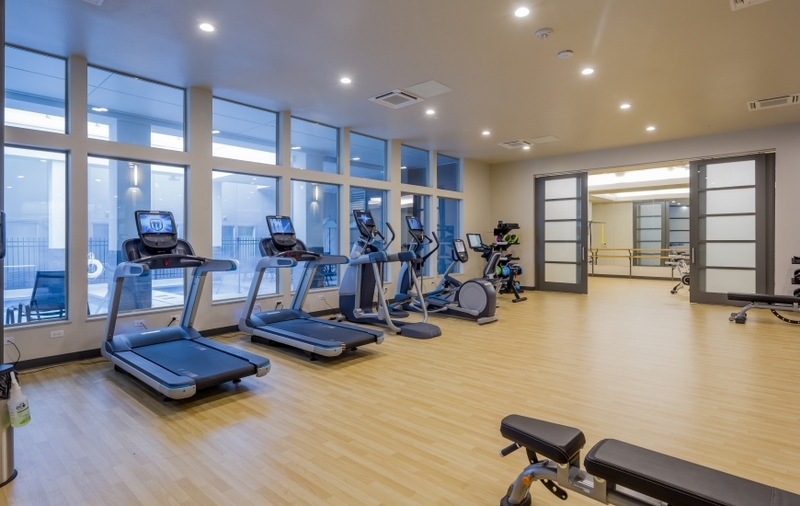 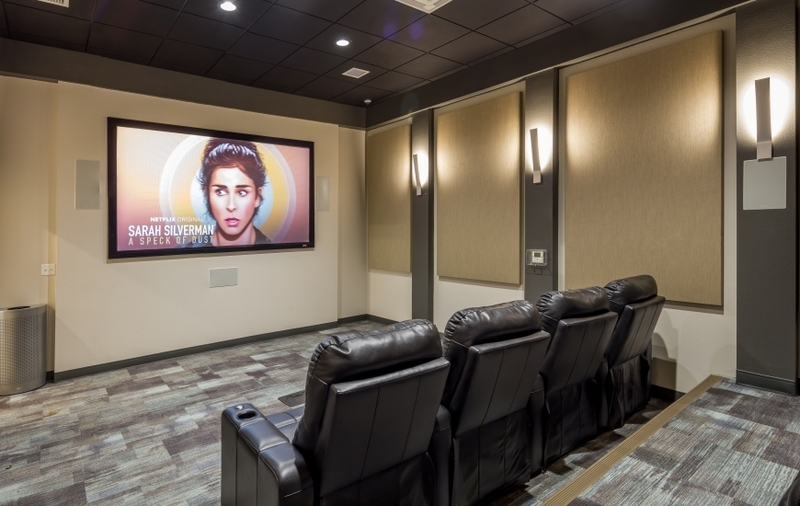 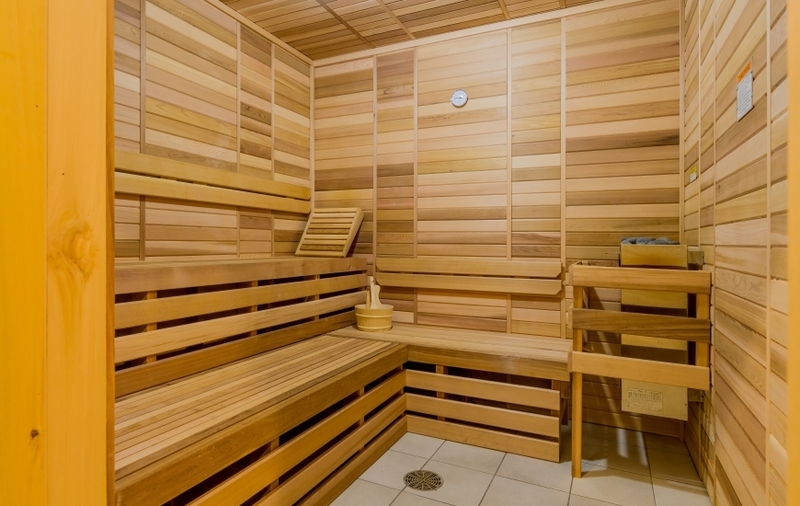 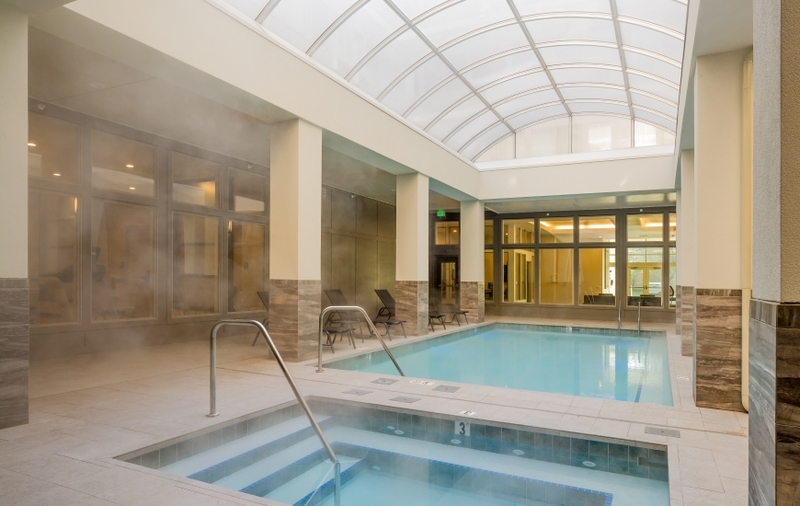 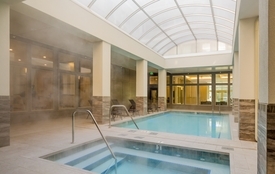 Amenities include a pool, Jacuzzi, exercise room, sauna, dog grooming station, underground parking and a theater. 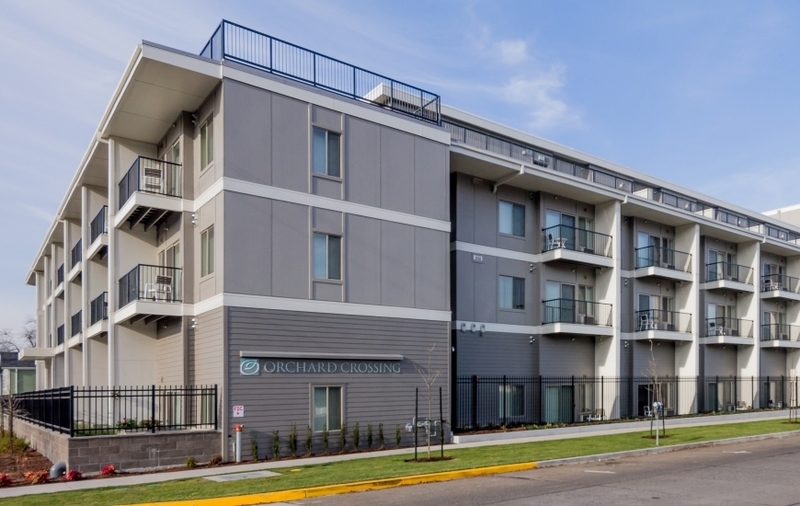 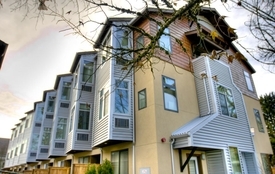 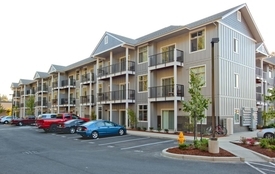 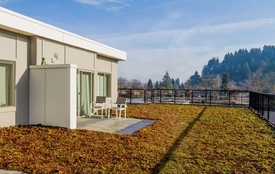 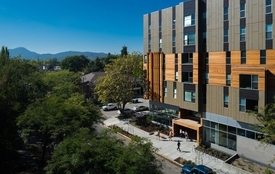 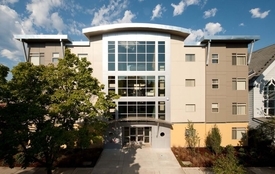 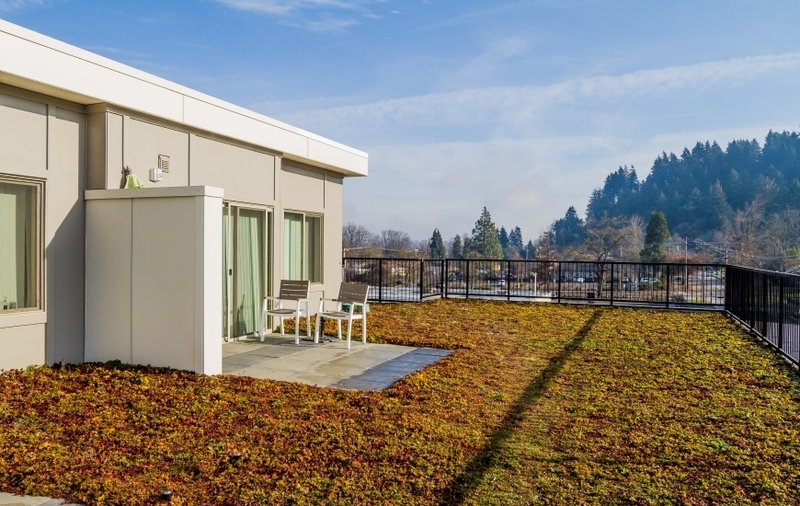 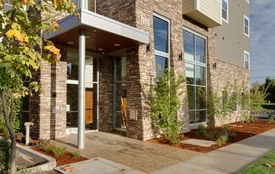 Located near the University of Oregon, this building appeals to both students and professionals.